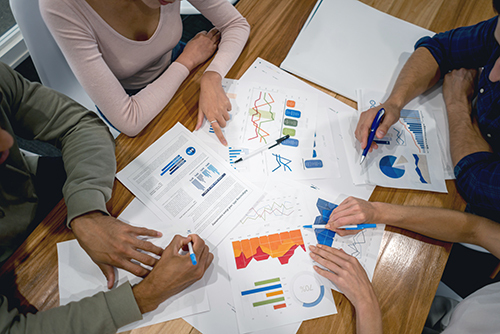 In today’s business environment, conducting market research is not only mandatory, but also the best way to make the educated decisions that your organization needs. Is your company headed in the right direction? Does your message draw the attention of your target audience? Are candidates and clients satisfied with your services? What sets you apart from competitors and how do you capitalize on those differentiators? The safe way to answer questions like these is by understanding the environment within which you operate. Take a look at the ideas below on how to perform the staffing firm market research that helps you stay on track. Primary research includes surveys, interviews and feedback that come directly from your target audience. In order to make sure that the information you collect is really helpful and you do not waste valuable resources for the wrong purpose, it is important to identify the right audience, ask proper questions and follow a solid process every time you decide to conduct staffing firm market research. You can ask people to take part in your research by inviting them through your social media accounts, your website blogs or by sending them surveys through email campaigns and by using polling websites to collect their answers. Secondary research involves information previously researched for other purposes and publicly available from sources like articles, journals or online searches. This is the most common source of information for companies with tight budgets. What you need to keep in mind though is that the data you obtain was not gathered for your specific needs and it might not address all of your questions. To overcome this barrier, you need to turn to multiple sources and track down the answers you want. Libraries, the internet, trade journals and associations and government agencies are great places to start. One of the main reasons why you perform staffing firm market research is because you want to collect information that allows you to make the right decisions that help you increase your market share. Besides turning to primary and secondary data, you also need to make sure that you are also doing research on your competition. How many companies claim to have your industry niche? Can you get an understanding of how their model of operation works? Keeping a close eye on your competition is useful to help you stay in the game. For example, visiting their website regularly and asking people who dealt with them about the experience they had allows you to make better decisions for your company. Another great pool of information are organizations, like your local chamber of commerce, that offer data about your local market and can be of great service. Similarly, industry associations have valuable information, such as market demographics and statistics, that you can use to market to your target audience. Don’t miss out on such valuable information. Join industry associations to take advantage of publications and events that give you a better understanding of your business environment as well as current and future trends. There is no chance your organization is going to succeed without performing staffing firm market research. With that being said, you need to devote the necessary time into collecting crucial information. There is no way around it. If the ideas discussed above are out of your comfort zone, but you really want to see your company thrive, then you need to reach out to expert marketing professionals who can do the heavy lifting for you. They know where to turn to collect the right information and how to interpret the data.